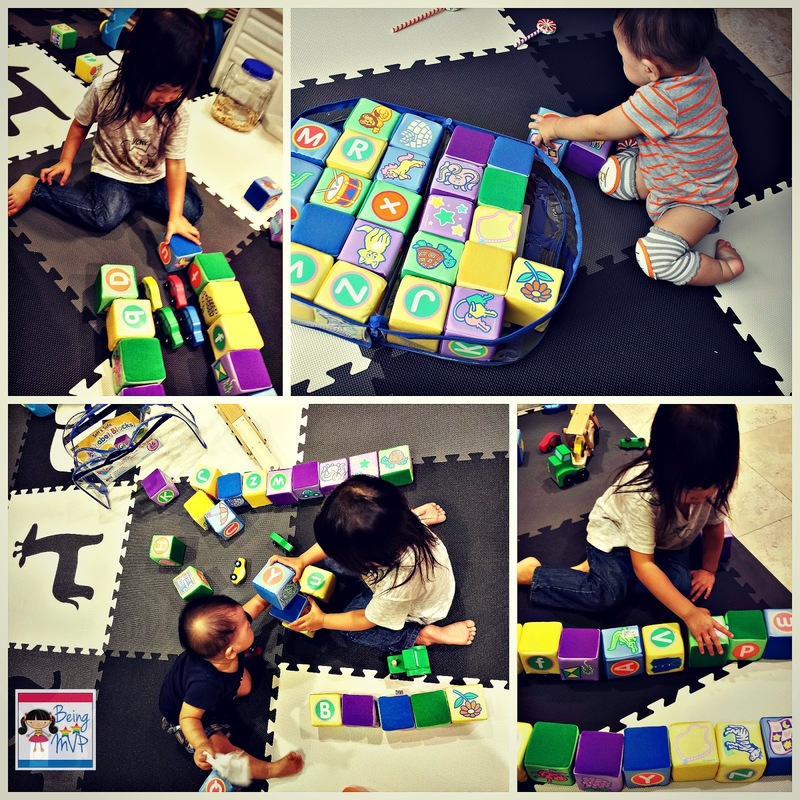 being MVP: Lakeshore Learning: Colorpillar Magnetic Maze and Soft and Safe Washable Alphabet Blocks + Coupon! Lakeshore Learning: Colorpillar Magnetic Maze and Soft and Safe Washable Alphabet Blocks + Coupon! I gush over educational toys as I am nurturing my children to be geniuses. Ok perhaps not quite to that level but who doesn't want a smart kid? 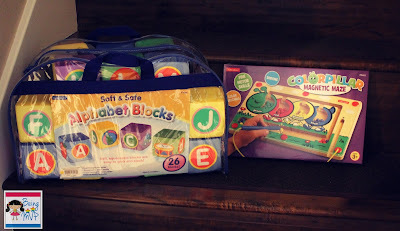 Therefore, when Lakeshore Learning launched a new line of educational toys for use at home, I jumped at the opportunity to review a couple: Colorpillar Magnetic Maze and Soft and Safe Washable Alphabet Blocks. I first saw the Colorpillar Magnetic Maze at the Lululemon store because Kenzie was in awe of it. I thought what a neat product and when I saw it at Lakeshore Learning, I was excited for her to receive it for review at home. The magnetic maze is colorful and sturdy to withstand even the toughest tots. Kenzie uses her color coordination and fine motor skills when attempting to pull each ball into the appropriate part of the caterpillar body. She spends quite a bit of time trying to get each and every ball in its place. When Mason sees Kenzie with the magnetic stick, he crawls over and pulls it out of her hand and mimics her. 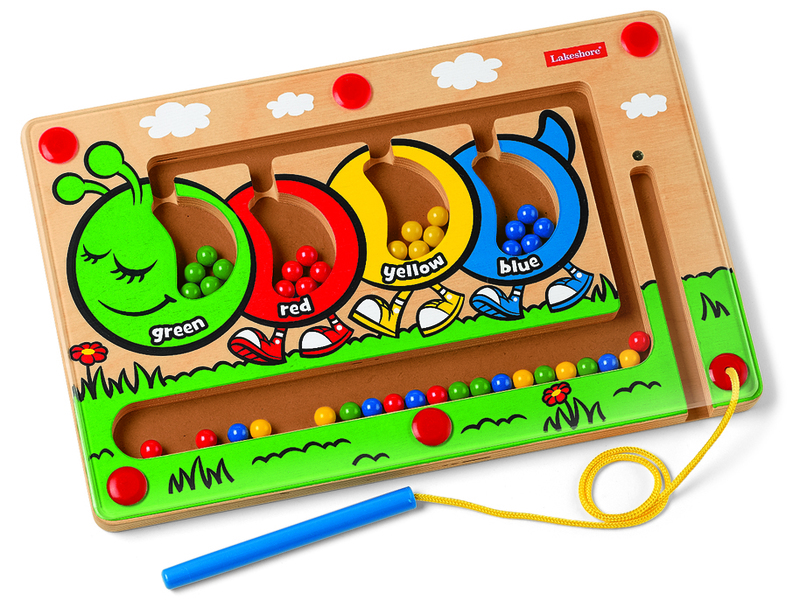 I love that he is a sponge and tries to move the colored balls to the coordinating caterpillar part. Bless him as he tries. This maze is great for travel as the stick is attached with a string to the board and the maze is permanently sealed so no possibility of missing parts. You can even wipe it down with a baby wipe when sticky fingers play. The recommended age is 3-6 years old but I can see Mason comprehending how to play with it within the next year. The Soft and Safe Washable Alphabet Blocks were a larger hit than I suspected. I first imagined Mason playing with these while I taught him the letters and introduced the pictures/words associated with such letters. However, when they first arrived, Kenzie immediately wanted to open the bag and start building away. These are super soft yet structured for easy stacking. I like the vinyl material that allows these to be washed because I'm sure in no time they will have some sort of food or stickiness upon them and I will be itching to get them clean. Lakeshore Learning offers quality educational products for use in school and at home. The categories are vast and range from birth to grade 6 as well as materials for teachers is just amazing. I can spy some items that would be perfect for Kenzie's preschool teacher. 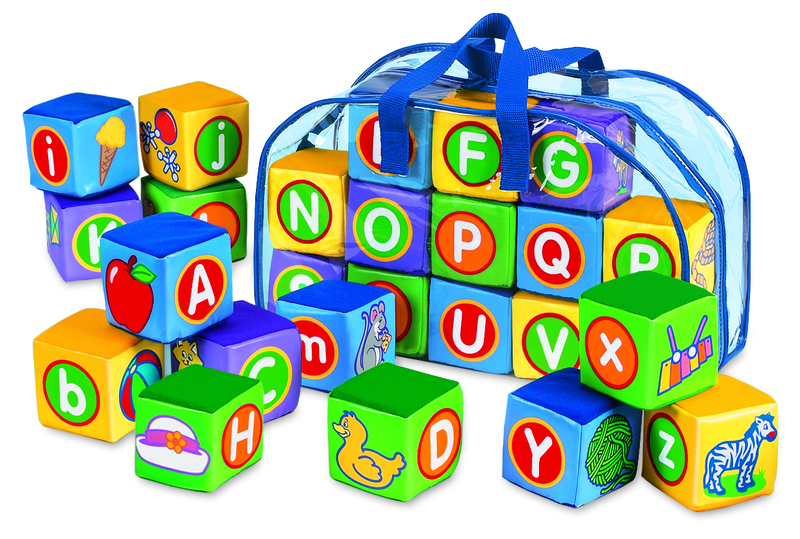 Buy It: You can purchase the Colorpillar Magnetic Maze for $19.99 and Soft and Safe Washable Alphabet Blocks for $39.99. These toys look like so much fun and would be perfect for teaching toddlers! This would be so awesome for my little ones. As a preschool teacher, I absolutely love Lakeshore products. They are fun for the children and educational too. I've not seen the colorpillar in their catalogues yet so thanks for the review, now I definitely want to buy one for my classroom, it is a good price too! My grandsons would love to sort these blocks! What a perfect product for toddlers! This toy looks so much more unique than other toys that Ive seen. Thanks for giving your fans a coupon! :D I will be checking out what else they have to offer. 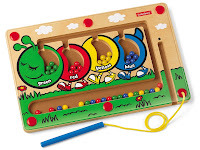 I love these learning toys. I remember having something similar to the Colorpillar Magnetic Maze when I was young. This is something my little guy would enjoy. 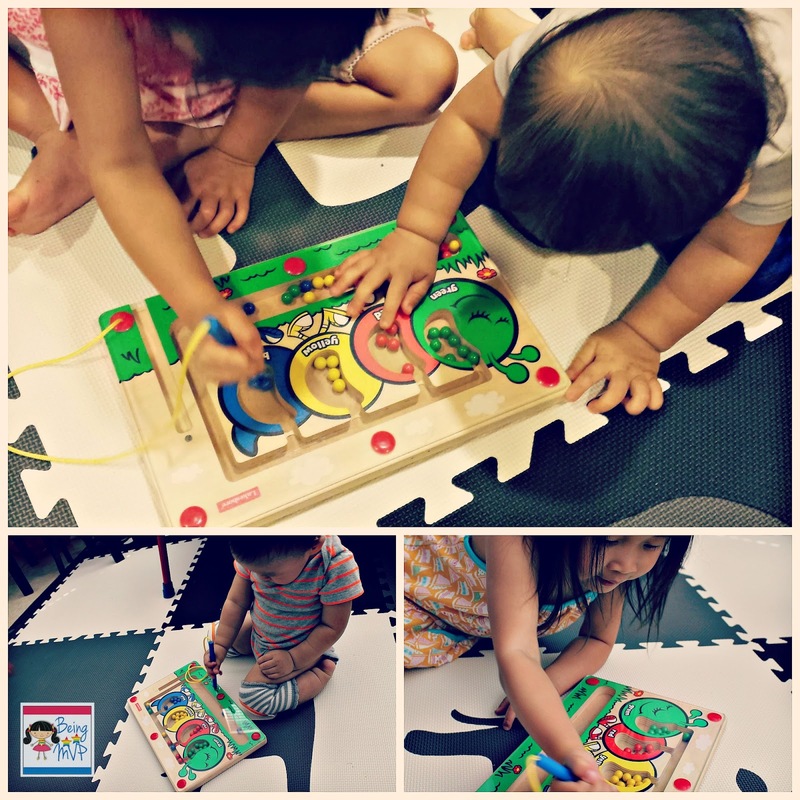 I like Educational Toys, it really is a great place to get things for kids. I really like the concept of learning while playing. My son LOVES blocks. He has about 50 different kind. Educational toys are my number one choice when picking out toys now that he is getting to be 1 year. These are great!